With all the recent changes Facebook has made, fewer people are viewing your business page unless you are verified and boosting posts or purchasing ads. This has opened the door for more and more business owners to start a group on Facebook. 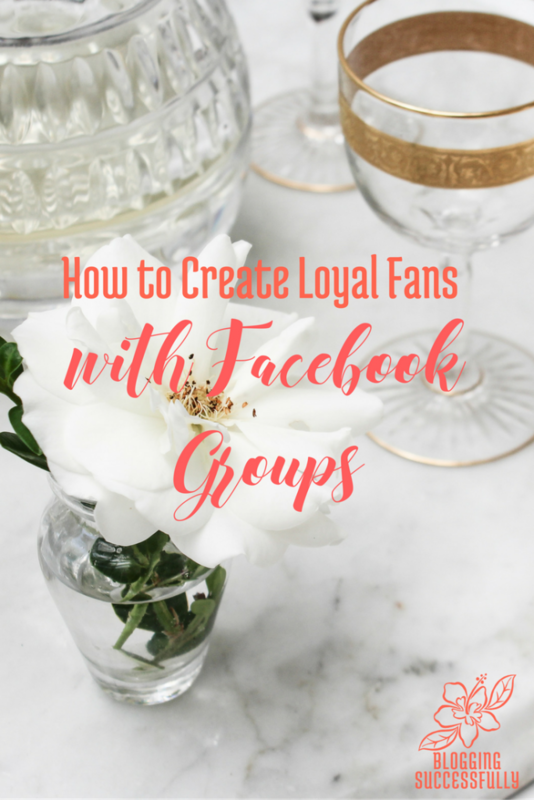 To create a successful Facebook group, you need to make some important decisions before you get started. Making these decisions in advance will make for smoother group administration. Why do you want to start a group? The desire to serve your readers needs to be your number one priority. Yes, you can make money, but it isn't just about the dollar signs. The goal should be to help others. 2. Know who will run it. Are you going to run the group on your own or with a friend in a similar niche? Will you team up, find multiple people to administrate the group, hire someone to administrate the group? 3. Know who will mentor it. Who will be permitted to contribute and post in the group.? Will it just be you, all administrators, or all members? 4. Know Facebook's rules for sharing content. Take the time to determine in your own mind the purpose of the group and the atmosphere. It is best if you can keep it upbeat. Don't allow trolls or those who will pull the atmosphere to the negative side. You will need to decide what level of privacy you want the group to have. • Public – Anyone can see the group, its members, and their posts. • Closed – Anyone can find the group and see who's in it. Only members can see posts. • Secret – Only members can find the group and see posts. Provide a description that clearly defines the purpose of your group and who it serves and what they get from being a part of the group. Create and post clear guidelines for the types of posts to expect from admins. What types of posts, if any are permitted by members? How do members get added? What is not allowed ? What happens to those who disobey the rules (knowingly or unknowingly)? Make sure they agree to the rules prior to joining. Pin the guidelines to the top of the group. The most important thing to remember about adding people to groups: DO NOT add anyone without their consent. You will need to ask yourself who can join and how will you determine whether a person is eligible to join. Will you admit everyone who asks? Admit those who apply and are accepted? Will there be a vetting process? Do they have to agree to guidelines first? Once you have your group up and running you will need to be present and provide interaction to keep people engaged. Below are some suggestions to keep the conversation going. Provide a daily conversation thread. (These can be programmed through HootSuite or another 3rd party scheduler) Open-ended questions are best for engagement. Pop in regularly to interact. Members want to connect with you. Share (using share buttons or links to your site) resources on you blog that your group will find valuable. Plan events, competitions, challenges, studies, classes etc just for the community to garner engagement and create a community feeling. Live video events work well. Serve your people, love them, acknowledge them for their successes, hold their hands in the trials, become a support and an encourager. When you are their biggest fan, they will become yours, and that is what community is all about. Some great advice, Katie. I see a couple things on this list I need to put in practice. Glad to hear it Susan. Thanks for stopping to read.